Synopsis: Thirty years ago, a peg-legged motorcycle mechanic walked into the Center for Advanced Visual Studies at MIT. They had not returned his calls. The police were summoned. Forty-five minutes later he walked out with an academic appointment. 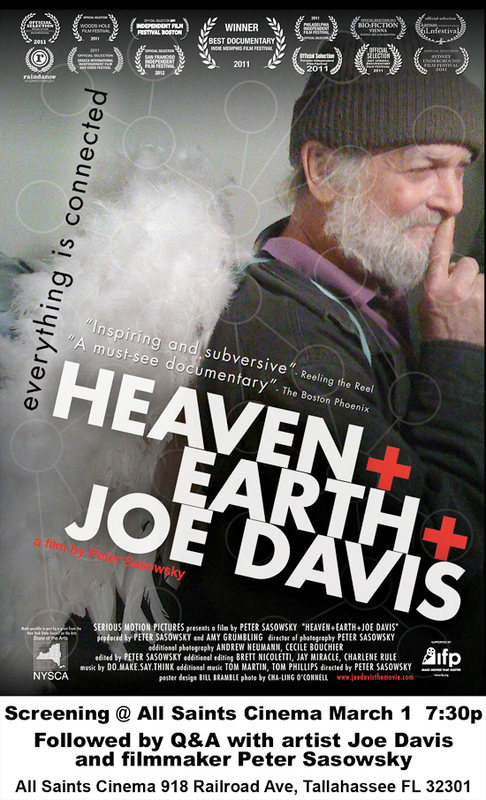 Since then Joe Davis has sent vaginal contractions into space to communicate with aliens, encoded poetry into DNA, and designed a sculpture to save the world. It’s a great life for a man driven by imagination – except when it’s not. No one pays him. He is evicted from apartments and labs. His uncompromising approach to art and life collides with the world’s banal requirements. This is a story of self-discovery, sacrifice and the complexity of human endeavor, of the price of art and the ecstatic joy of discovery.